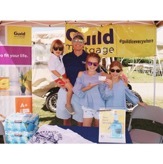 The Southeast Region’s Jimmy Parsons and the Montgomery Branch regularly sponsor events supporting charitable causes. 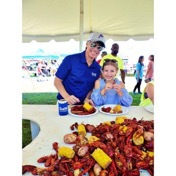 Recently, one of Parson’s favorite opportunities to give back was when they participated in the Pike Road Crawfish Festival in May of 2017. With approximately 3,000 pounds of cooked crawfish, the festival goers can feast on fresh crawfish while enjoying live music. This festival is an all-day event that takes place in a small suburb of Montgomery named Pike Road. Proceeds for the festival are donated to the Pike Road Patriot Fund. This nonprofit helps provide financial assistance for the Art and Athletics programs at Pike Road School to help ensure students have the necessary tools to support their learning. 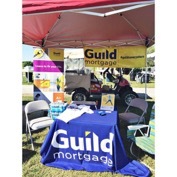 Parsons and the Montgomery team purchased a $500 sponsorship and hosted a booth where they handed out Guild swag to the 1,500 festival goers. Jimmy Parsons was also deemed the emcee for the event, where he was able to verbally promote Guild Mortgage Company. As a whole, the festival raised $15,000 for the Pike Road Patriot Fund. In addition to other event sponsors, Parsons and team also donated a prize for the festival’s raffle. “It was great to see the Guild name associated with this event. Seeing hundreds of people walking around with Guild koozies, we definitely made a splash in the local community while getting our name out. We had fun and supported the school,” says Parsons. Through this event, the Montgomery team was able to support a wonderful cause, promote Guild, and enjoy spending time with the community. Parsons and team have set plans to sponsor this event in the future.